This section will be replaced in the launch of the Sikh Learning Center. In the mean time we wanted to share the following links with you. This is a famous 6 volume series of Sikh history. It's been made public by archive.org where you can read it online. This is in an-depth user-generated wiki for everything Sikh related. Below are just a few links from Sikhiwiki to get you started. If an article is missing, you can become a contributor and create that content. The partition is when India gained its independence and Pakistan was created as a homeland for Indian Muslims. The new boundary was drawn through Punjab with is the state that is the Sikh homeland. Followers of different religions were forced to travel to one side or the other of that boundary, and it was a bloody transition. 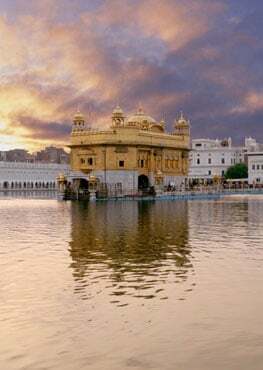 2008 marked the 300 year anniversary of the installment of the 11th Guru. This is when the lineage of leadership went from human Gurus to the scripture, the Siri Guru Granth Sahib. 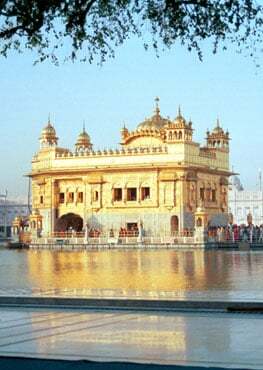 Follow the SikhNet coverage of this Anniversary. This Project seeks to build awareness of state-sponsored human rights violations, suppression of information & social trauma. Whether in Punjab, in Delhi, in Calcutta, in California, in Singapore, Nairobi or anywhere else in the world, any Sikh old enough to remember 1984 has a story to tell! This podcast series provides a fascinating look into the sparkling lives of the Sikhs from the 15th century to the present times, transporting us back to the times of our ancestors. This podcast provides a historic context to the evolution of the Sikh religion. Go to iTunes to listen for free.